6.96 Acres of Commercial land. Close to Freeway Access and excellent visibility. Two separate street frontages and utilities are available. West Redding Location! Lot has been cleared and is ready for your dream home. Previous fees have been paid for a 3,192 sqft home. Outstanding Views of the City Of Redding lights and Mt. Shasta from this 1.19 Acre Lot. Water meter on the property and Power to the lot line. This Fantastic level lot offers utilities at the lot line and a gorgeous Park like setting. Great lot in the City of Redding! Ready to build. Established neighborhood. Close to transportation and shopping. Utilities close to the property. Josh Barker lists and sells more homes than any other agent in the Redding, California market with well over 700 homes sold in the past 12 months. Josh has been ranked in the top 5 of all agents in the RE/MAX network for the USA, and is ranked in the top 1% of all agents in the United States. What makes Josh different than other agents is his systematic approach to delivering supreme value and service to clients. Our team consists of full time trained professionals. When a client hires us, they don’t hire one agent, they hire an entire team! Josh Barker and his entire team were a delight to work with. They were always all very quick to respond to my messages and answer my questions. Josh is very knowledgeable of the local real estate market--he helped to ensure that my house was appropriately priced, thus maximizing my sales profit to its fullest potential through an immediate bidding war. After a 21 day all cash close, I am not in escrow on the purchase of my next home, also thanks to the help of Josh's team. This entire experience has been a dream come true and has far exceeded any and all of my expectations. -Simonne R.
Josh Barker is excellent and very personable. I would recommend him to everyone. His office girls are super helpful and always professional. Josh's office did a great job for me!! Thank you, Josh and all the office staff!!! -Tiffany E.
Josh was prompt in responding to all of our needs during the selling and buying process. Regardless of the fact that our house was not being sold for a high price he made us feel that we were important clients and he gave our property what we felt like 100% of his attention. When showings were slowing down he personally visited our vacant property to assess what could be the problem. His high paced, aggressive staff kept us informed on all the details from property listing to escrow details. Josh has many people working for him to help the process move quickly but he was always personally checking in with us on profess and ensuring we had every question answered and that we were satisfied with our sale. We highly recommend Josh Barker and his team for an outstanding buyer and/or selling experience. -Kelli and Rustin S.
Josh Barker is professional. He was easy to contact, quick to reply to questions and very knowledgeable about the local housing market. He negotiated a smooth real estate transaction and took care of all the details associated with selling a house. We will not hesitate to use Josh Barker as our Real Estate Agent in the future. -Julie and Lane C.
I have used Josh Barker to buy and see 2 homes in Redding over the past 10 years. I have experienced both sides of the extreme housing markets. Josh Barker and his team of experts removed ALL stressed associated to buying and selling. From the moment you make the decision to buy or sell, Josh and his team do the rest. They are always available, informative, professional and leave you with the feeling of ease during a potentially very stressful time. I would 100% recommend Josh Barker during your next home buying or selling experience. -Jeff B. As first-time home buyers, Josh Barker, and his team made this intimidating process an enjoyable one. He not only paired us with a wonderful member of his Realtor staff, but he personally insured out needs were being met throughout all stages of the process. Each and every member of his staff always made us feel like they genuinely cared and had our best interests in mind. We will definitely be recommending all of our family and friends go through Josh and his team of professionals! -Chris and Sara C.
Josh Barker and his team of professionals helped me through the sale of my home. From the beginning, I immediately felt taken care of and knew that Josh had my best interest at heart. Josh's extensive knowledge of the market and supreme marketing plan allowed for multiple offers and for me to sell my home at asking price! If you are looking for a professional, knowledgeable, and trustworthy agent you can't go wrong with Josh Barker! Listing our home with Josh Barker was absolutely a wonderful experience. Josh and his team were always in contact with us through the entire process. They are highly skilled professionals and treated us with the utmost respect. We were given multiple offers the first few days on the market. Yes....very impressive. Our home sold for much more than we expected, thanks to Josh Barker's excellence in marketing, valuation and extensive knowledge. Would I recommend Josh Barker and his fantastic team? Oh yes, in a heartbeat! -Nedra and Jack G.
Buying and selling a home is not just a transaction, it is your life, your family, your finances and so much more. We have used Josh and his crew on 3 occasions now and have come to know and love them like family. If you are looking for an honest and ethical realtor Josh Barker should be your first and only phone call. We are proud to call him our realtor and our friend. -Mike and Jenny C.
Josh Barker and his associates are simply the best! I've bought and sold 4 houses, using different realtors for each transaction. But I will only go with Josh Barker for all my future real estate needs! He is very knowledgeable, friendly, and prompt. He got our house sold for top dollar in just a few weeks. Thanks for everything! -Jennifer A. We were very happy with the service and knowledge that Josh Barker and his team brought to the table in our real estate negotiations. We are confident that without Josh we would have paid significantly more for the property, would not have been as well informed regarding the property and then tenants therein, and that this would have been a different transaction altogether. Even after the close of escrow Josh and his team have continued to help us out with questions to the former owner. We heartily recommend Josh for all of our real estate needs. -Alan K.
I have rarely had the pleasure to do business with such a team of professionals. Josh met with me personally to explain how the members of his staff would work together with my wife and I to come to a successful conclusion in the sale of our home. Each member of this organization had specific responsibilities in the sale process, and each and everyone did their job to perfection. It is gratifying to find a group of people that are so dedicated to their clients. I heartily recommend Josh Barker for all your Real Estate needs. -Gordy S.
Josh came highly recommended and it was clear right away that he has a high level of expertise and professionalism in his field. He was very attentive to our needs, detail oriented and knows the local market quite well. His online strategy of showing our home and getting the most quality views possible was definitely encouraging and exciting! He has assembled a quality, friendly and professional staff who helped make our home selling experience an easy and smooth one. There is no doubt that we will be using Josh and his tea for our future real estate ventures. It was a joy to work with them!! -Paul M.
Josh Barker and his entire team are amazing! They are on the ball every minute and they don't miss a beat. They treat us so well that they feel like family. We will never choose anyone else for our real estate needs! Josh gets your home sold asap! Couldn't be happier! -Jennifer M.
Professional & efficient. I liked the idea of being kept in the loop! Thank you!! -Ed W.
Excellent service & pleasant staff! -Jennifer H.
Josh has my highest recommendation. Our home was listed for 6 months with no offers. We retained Josh and thanks to his knowledge, exposure to many websites and his expertise, within weeks we received multiple offers. The great thing about Josh and his team, is you have the personal attention of having a small town real estate agent, like a friend, but the talent and professionalism and knowledge of a big city Broker combined into one, that is rare! If you want your home sold, call Josh and his team, they are a delight to work with. -Sara C.
The Josh Barker RE/MAX team communicated very well with us during the entire transaction. They answered questions promptly and accurately. They anticipated and circumvented problems effectively. If you want professional and competent service, then the Josh Barker team is for you. Thank you Josh, Chris-Anna, Laurie, Cami, Sarah, Nikole, and Jen! -Tim and Cindy S.
Josh was our agent. He and his staff were absolutely wonderful through our whole experience of selling our home. He listened to our needs and offered great advice. When you call the office, the staff is so friendly and helpful.-Rob and Patty W.
Josh and his team did a fine job in selling our rental property. Daily contact kept us well informed of any activity on the house. The whole process was smooth. This was not the first time Josh has sold a house for us. We look forward to the next!-Tim and Claire T.
Josh and his staff are very professional and wonderful experience!! We highly recommend them to sell your home. They did a fantastic job with keeping you posted in everything that was happening in the sale of our home!! -Josh and Rachel A.
Josh Barker and his entire office staff were most professional and yet friendly and welcoming. They were always on top of every question or difficulty we had and jumped right in to provide excellent service. Even after helping us sell our home (full price in three days!) and finding us our new home, they have stayed in communication to make sure that we were completely satisfied with both transactions. -Dave and Patty L.
Josh and his team sold our Redding home in just two days! The team was incredible from start to finish, ensuring that the process was smooth throughout, despite a couple of stumbling blocks when the buyers had financial setbacks. After Josh came and interviewed us and we agreed to list with him, everything kicked into high gear. The photographer came out, installed the sign, took pictures (and listened to my suggestions - I'm a photographer); the listing appeared on Zillow and the MLS; we had showings within hours of the listing; we got a near full price offer and away we went! Inspections and tests happened in short order, the Barker Team recommended contractors for needed repairs and also recommended movers for our relocation north and helped with myriad small details. All in all, I can't say enough good about this team. If you need to buy or sell a property, these are the people to use.-Paul and Barbara Y. Very quick & honest services. Couldn't ask for a better team. Wonderful people to work with. I am very, very pleased. -Anne H.
Josh & team always professional, honest, & smart. I appreciated that Josh was so knowledgeable about price & trends in the area of my property. He always respected what I wanted & worked to get the best deal for everyone. -Debbie K.
A big thank you to all the ladies who were just on the ball with the whole process! As crazy as it was having to balance and handle two escrows- Josh Barker & staff made our experience enjoyable! -The Bates Family. Excellent, honest, & caring service! -Bruce & Annette C.
My expectations were surpassed! Everyone was very professional! Thank you! -Dave & Laura W.
Always enjoy working with Josh Barker Real Estate & his people! -Kevin & Susan M.
I already have recommended your team to a colleague. You are superstars! What a mega difference! -Tanya E.
This was the best experience I've ever had! Their whole team made you feel as though you were their only client. Words cannot describe how well they take care of you from beginning to end. They offer the kind of experience that no longer exists in today's market. I would highly recommend them to anyone looking to purchase or sell a home. -Tyler H.
Great team of office personnel. Thank you for selling our house! -Steve & Angie B.
Super staff! Great communication. -Don & Denise H.
Thanks for all of the friendly help and hard work! Hope to thank you personally next time in Redding! -John L.
Everyone was wonderful. Thank you, thank you! -Jack & Carol B. Excellent communication & professional staff. Thank you for all of your help with our home sale! We could not have been more pleased! -Mike & Cherry M.
Excellent & caring service. Thank you for all your help. You went far and beyond, especially Laurie. -Bev C.
I was completely satisfied with every aspect of the proceedings. I was so impressed with the fact that everyone had a specific duty and that duty was carried out with knowledge and efficiency. I think more offices should adhere to this. -Barbara W.
Great people, great service. Easy & painless process! Great people! Very helpful! -Tom & Sue J. You lived up to your reputation. I believe you sold the home is almost two weeks. Good Job! - Louise Z. Very professional, knowledgeable. Due to all the information available to us we knew exactly how to proceed & what to do. The checklists were great.l Josh is not a prophet but he so understands the market that he was accurate in how our house would sell. The confidence of your team gas us confidence & assurance. -Joe & Carla G.
This has been a fantastic experience for me. Everyone has done their part to perfection. Communication has been effective and everyone has been pleasant to work with even though this has all been done at a distance. Thanks so much! -Jerry E.
Job done with class. Always available. -Hal E.
Great service, of course- yet again! Even though we have used Josh Barker Real Estate office before, we do look forward in using them again in the future. Can't imagine using any other Real Estate company! -Keven & Susan M.
A successful agency is defined by the ability of the agent & this staff. Cami was on top of things. Laurie went above and beyond what was expected. Laurie assisted us on a number of things to make the transition for us & the buyer great. Great staff & Josh cares about buyers and sellers. -Charles & Ann Marie M.
Thanks for the great service. We got the price we hoped for and the house sold so quickly. We appreciated your knowledge and professionalism. - Paula & Larry M.
Your office staff is fantastic. All of you made this experience so fast and easy. Thank you so much! -John & Linda T.
Honesty, personal but professional, caring, and humble! Josh and his team really do care & want what is best for each individual family. Because of his (their) Christian faith, we were reminded that a "home" doesn't define you & we're all here temporarily. We're so pleased with our new home. It's the perfect home for us. -Jason & Teresa P.
Very personable, friendly, knowledgeable, always kept us informed no matter who we spoke with or handled our account. Very professional, top notch! We will recommend! - John & Michele P.
Professional & friendly staff. Thanks! -John & Kathy P.
Good & friendly service! We appreciate all the hard work & input by everyone! Thanks! -Kevin & Susan M.
Great service! Very good Experience! -Toby P.
You guys are fantastic! Thank you!! -Jason & Elizabeth S.
Service & people were awesome! -Robert & Linda F.
Whole team very helpful & friendly. Great job start to finish! -John S.
You were all awesome! Thank you all so much for your help. I was expecting a very long difficult process but you made it easy & stress free. You guys are the best! -David & Erin L.
The staff here really does take care of you to the end. A+++ super people! -Jerry M.
Everything went smooth. Thank you!! -Paul & Sonja A. Everybody was extremely helpful in getting our sale done on a timely basis- very fast! -Brad E.
The in-house photographer Shawn was amazing and the "drone" technology sold our home to the buyers- Josh & Laurie kept the escrow together. Thank you all! -Mike & Pam W.
Excellent staff, very friendly, and easy to work with. Your team was so helpful and knowledgeable and worked hard even though it turned out to be a difficult sale. We definitely recommend you! -Mark & Jillian B. Awesome team! A++++. Thank you so much!! -Keith & Michele S.
Personal relationships/ friendship established with Josh, Sarah, Cami & Laurie. Great experience! - Ted S.
Your entire team has been incredible! -Zach & Sara W.
Everyone is so friendly, helpful, & professional! Jim & I were very pleased again. Mike is also a joy to work with! -Angelo S.
Josh and staff did everything they said they would & very patient with us! -Jack & Carrie S.
Always available, very friendly, answers questions promptly! -Kevin M.
Great people to work with! Enjoy working with everyone! -Susan M.
Over the past 3 years, we have utilized Josh's outstanding services to sell 2 homes and purchase another. Josh is the consummate professional who truly has his clients best interest at heart. In addition, Josh has built an amazing team of real estate professionals who made themselves available through our transaction process. When it comes to real estate, my wife and I are confident that Josh and his team will always be our first call. -Richard M.
Experienced expert in field, courteous, resourceful, patient, encouraging! Remarkable service over a long period of time. 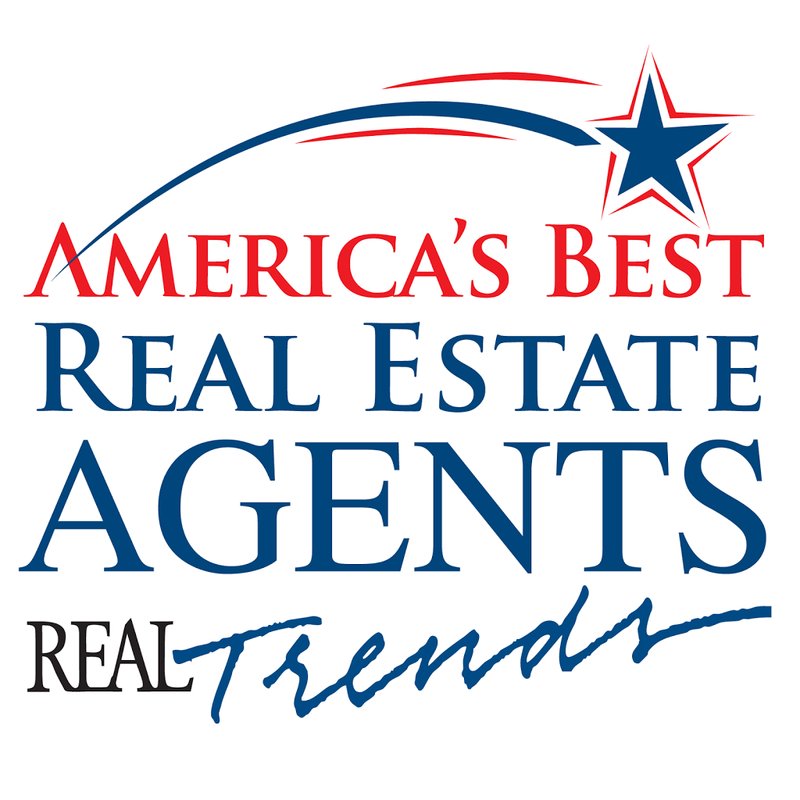 -Charles & Joan P.
Each of the persons involved in the RE/MAX office performed flawlessly. We listed, sold, and repurchased in two months! -Sam & Collen C.
I have bought and sold property over the years, and can say honestly that working with Josh and his team is far and above the best experience I have had selling a home. Josh's photography team did an amazing job of capturing the essence and beauty of my house and its surroundings. Additionally, Josh's analysis of the current market allowed him to list my house at an attractive sales price with in turn resulted in a quick sale. I believe I had an offer within the first three days of listing. Throughout the sale process, Josh's team stayed in constant contact with me, ensuring that I was aware of any changes in the offer or requests by the buyer. Laurie managed particulars of escrow, and literally held my hand through the entire process. Anytime work was needed on my house in order to move the process along, Laurie always had someone available to complete the work. This service alleviates a great deal of stress for the seller. The entire process from listing to close of escrow took less than three months total. I attribute the speedy sale of my home to Josh's analysis of the current market, the quality of advertising for the listing, and Josh's efficient listing and escrow team. Everyone in the office is obviously customer centered, and go over above to make you feel important and comfortable throughout the sale process. I couldn't be happier with the results of the sale and the service I received from Josh and his exceptional team! -Cindi G.
Very easy to work with. Our home sold in 10 days! Kept us informed from start to finish! Staff was always friendly and informative. You will not regret choosing Josh Barker for your realtor. Josh also recommended a wonderful window cleaner and carpet cleaner. We even sold our home for more then asking price! -Bruce and Lynn S.
Josh Barker and his associates are simply the best! I've bought and sold 4 houses, using different realtors for each transactions. But I will only go with Josh Barker for all my future real estate needs! He is very knowledgeable, friendly, and prompt. He got our house sold for top dollar in just a few weeks. Thanks for everything! -Jennifer A. We were very happy with the service and knowledge that Josh Barker and his team brought to the table in our real estate negotiations. We are confident that with out Josh we would have paid significantly more for the property, would not have been as well informed regarding the property and then tenants therein, and that this would have been a different transaction all together. Even after the close of escrow Josh and his team have continued to help us out with questions to the former owner. We heartily recommend Josh for all of our real estate needs. -Alan K.
To Josh Barker and his team, I cannot thank you enough for all your hard work and dedication in selling my home. You and your team were professional, knowledgeable and responsive throughout the whole transaction. Josh, I always felt you had my best interest at heart and you made a potentially difficult process extremely easy. From start to finish the service I received was nothing short of excellent. I will definitely be referring anyone I know looking to buy or sell a home because you are without a doubt the best realtor I know! -Steve O.
Josh Barker and his team are by far the most professional Real Estate Company in the North State. We have used Josh Barker on multiple house buying and selling transactions. Not only does Josh listen attentively, but he sincerely cares about helping you find the exact house that fits your lifestyle/needs. He is a fair negotiator and you can fully trust that he will give you accurate advice and information from all angles. His staff is prompt, friendly, and they have excellent and timely follow through both on the phone and via email. Josh and his staff keep you updated along the way and you never have to worry about them forgetting any detail. Josh Barker is second to none! Whether you are listing or selling, Josh Barker will make sure you are taken care of 100%. -Alana O.
Josh Barker has an incredible team that makes his office a huge success. When I had a questions or a need, it was answered promptly and cordially by one of the team members. This office will go above and beyond what is considered "normal practices" to make the process of buying or selling a home a breeze. Through excellent negotiations, we were able to sell our home for our asking price within one wee! This office has been a part of my life for the past 7 weeks and will be sorely missed. -Marty and Sharl L.
I would like to give a huge thank you to Josh Barker and his entire company for helping me with my recent home purchase. It is clear that Josh is passionate about what he does and extremely knowledgeable. Finding the right home felt stressful at times but Josh was always available for all of my questions. The entire company went above and beyond throughout the whole process. Josh has sold several homes for my family and friends with great success so working with Josh was an easy decision. -Brian M.
I have already recommend Josh Barker to several friends. His office was extremely professional, punctual, informative and helped us quickly sell our home for a great price. Thank you Josh and team! -April L.
From the beginning of the process to the end, Josh and his team were exemplary. Each team member knew their job and handled it with nothing but true professionalism. I will definitely recommend Josh and his team to my friends and family -Donald T.
Josh (and his team of professionals) was outstanding! We were very impressed with the communication throughout the process of listing and closing the sale of our duplex in Redding...and we live in Santa Rosa!! Josh's insight, knowledge and personal attention was much appreciated. We would very definitely recommend Josh with no doubt or hesitation. -Bob and Fiona V.
We were so pleased with the service provided by Josh and his team. We interviewed three realtors prior to signing with Josh and selected him based upon his knowledge of the market and strategy for promoting the property both locally and outside Shasta County. Josh emphasized his team approach and communications with his clients. The house sold in seven days and escrow went without a hitch. I've bought and sold 10 properties and this transaction was by far the most seamless. Thanks Josh and your team of professionals! -John and Christina B.
Josh Barker and his entire team were a delight to work with. They were always all very quick to respond to my messages and answer my questions. Josh is very knowledgeable of the local real estate market--he helped to ensure that my house was appropriately priced, thus maximizing my sales profit to its fullest potential through an immediate bidding war. After a 21 day all cash close, I am not in escrow on the purchase of my next home, also thanks to the help of Josh's team. This entire experience has been a dream come true, and has far exceeded any and all of my expectations. -Simonne R.
Josh was prompt in responding to all of our needs during the selling and buying process. Regardless of the fact that our house was not being sold for a high price he made us feel that we were important clients and he gave our property what we felt like 100% of his attention. When showings were slowing down he personally visited our vacant property to assess what could be the problem. His high paced, aggressive staff kept us informed on all the details from property listing to escrow details. Josh has many people working for him to help the process move quickly but he was always personally checking in with us on profess and ensuring we had every questions answered and that we were satisfied with our sale. We highly recommend Josh Barker and his team for an outstanding buyer and/or selling experience. -Kelli and Rustin S.
As first-time home buyers, Josh Barker and his team made this intimidating process an enjoyable one. He not only paired us with a wonderful member of his Realtor staff, but he personally insured out needs were being met throughout all stages of the process. Each and every member of his staff always made us feel like they genuinely cared and had our best interests in mind. We will definitely be recommending all of our family and friends go through Josh and his team of professionals! -Chris and Sara C.
Listing our home with Josh Barker was absolutely a wonderful experience. Josh and his team were always in contact with us through the entire process. They are highly skilled professionals and treated us with the utmost respect. We were given multiple offers the first few days on the market. Yes....very impressive. Our home sold for much more than we expected, thanks to Josh Barker's excellence in marketing, valuation and extensive knowledge. Would I recommend Josh Barker and his fantastic team? Oh yes, in a heart beat! -Nedra and Jack G.